HAIO forming higher high & higher low? Stochastic %K trigger BUY call,pending confirmation. Immediate resistance @ RM2.51 level. Subsequent resistance @ RM2.58 level. 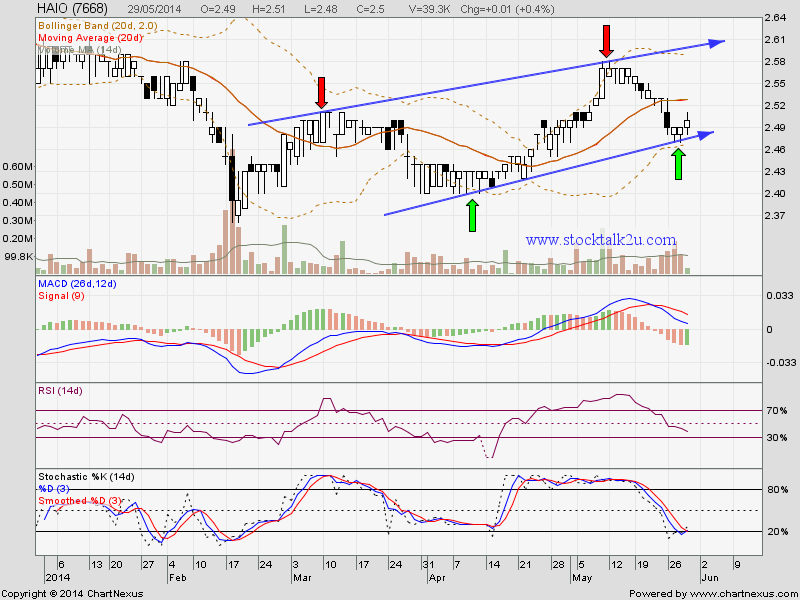 Subsequent support @ RM2.40 level. Let's watch closely for rebound.